Delhi, the capital city of India, is the most important gateway to India, drawing millions of visitors from all over the world every year. With a history dating back to thousands of years, Delhi today is a fascinating blend of old and new. On tours to Delhi, you'll find some of India's most popular historical monuments, as well as world-class luxury hotels, restaurants, nightclubs and much more. Delhi also has a good network of air, rail and road, connecting it to all major cities and tourist destinations of India. In fact, majority of visitors to India start their India tour from Delhi only. India Profile brings to you specially designed India tour itineraries starting from Delhi. There are several tour packages that you can take from Delhi. These tour packages cover almost all major tourist destinations of India, and have been designed according to needs of individual and group travelers. They can also be customized according to your interest and convenience. If you're planning a vacation in India, Delhi can be an ideal destination to start with. India Profile has designed the best tour itineraries for India, starting in Delhi. 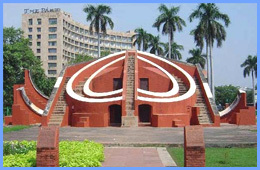 You can choose any of our tour itineraries for Delhi, according to your choice and budget. Below is a list of some of the most popular India tour itineraries from Delhi.